Risks posed by flea and tick products and natural approaches to their control from Healthy Products, click here. 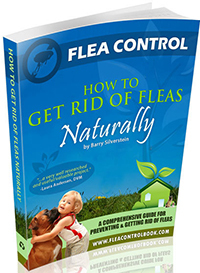 Controlling fleas naturally, see Natural Flea Control by clicking here. Health risks pet products post to both to pets and humans, visit the Natural Resources Defense Council by clicking here. Ingredients in flea control products and shampoos, including information about low cost products sold in pet stores that can be toxic to dogs and people, visit Pet Informed Veterinary Advice by clicking here.